When I say “cider,” what do you think of? If you’re like me, you probably think of the non-alcoholic cider that’s sold at apple orchards and farmers markets. But the cider that’s popular in Europe (especially the UK) is an alcoholic beverage. While beer is made from brewing barley and hops, hard cider is brewed with apples. 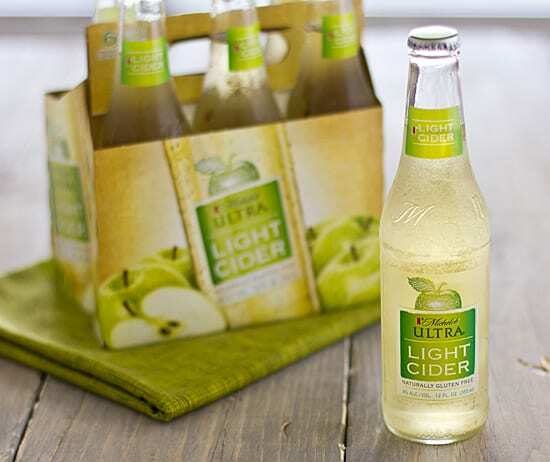 This kind of alcoholic cider is increasing in popularity here in the US and Michelob has just introduced a lighter version of hard cider: Michelob ULTRA Light Cider. I’m really picky when it comes to alcoholic beverages. I love cooking with beer and wine, but there are very few that I also enjoy drinking. They’re usually just too strong for me (I hate the taste of alcohol–there, I said it!) and the ones that aren’t too strong are often way too sweet. Having never tried hard cider before, I was excited to have the opportunity to try Michelob ULTRA Light Cider, but I wondered if it would have the strong alcohol flavor or heavy sweetness that turns me off of most other drinks. Well, it didn’t! The crisp flavor of apples really shines through and rather than being heavy or syrupy as I feared, the cider was light and refreshing. I love that it’s neither too strong nor too sweet–it’s just perfect. It’s also lower in calories than many other ciders and it’s made with real apples (not artificial apple flavor!) and natural sweeteners. To be honest, I really expected that I would try this cider for the review and never buy it again, but it’s definitely going to be a product I purchase in the future. I’ve always associated cider with fall, but Michelob ULTRA Light Cider is really made for hot summer days and backyard barbecues. It’s already been feeling like summertime here in North Carolina, so I’ve been enjoying this cider straight from the (chilled) bottle or poured over ice with dinners eaten al fresco. And then I decided to get a little creative and use it to make this Strawberry Cider Granita. 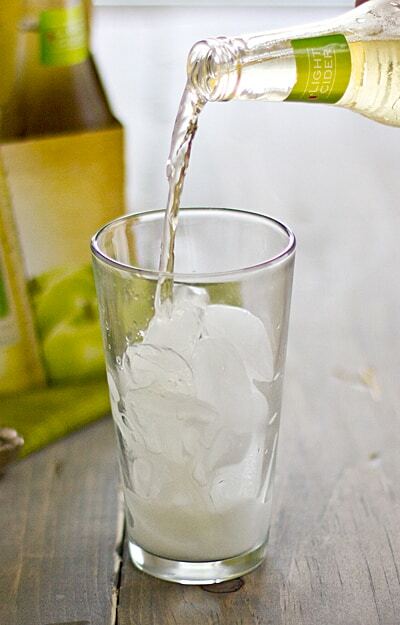 Just like Michelob ULTRA Light Cider, it’s only lightly sweetened and it’s the perfect ending to a summer meal. A light, refreshing granita that's perfect for summer get-togethers. Combine all ingredients in blender or food processor and process until smooth. Pour mixture into a 9 x 9 inch baking dish. Freeze until ice starts forming along the edges; stir with a fork, scraping edges to the center, and repeat every 30 minutes until granita is frozen. Use fork to fluff granita just before serving. Cook time reflects time in freezer. Which favorite summer meal or activity do you think would go best with Michelob ULTRA Light Cider?